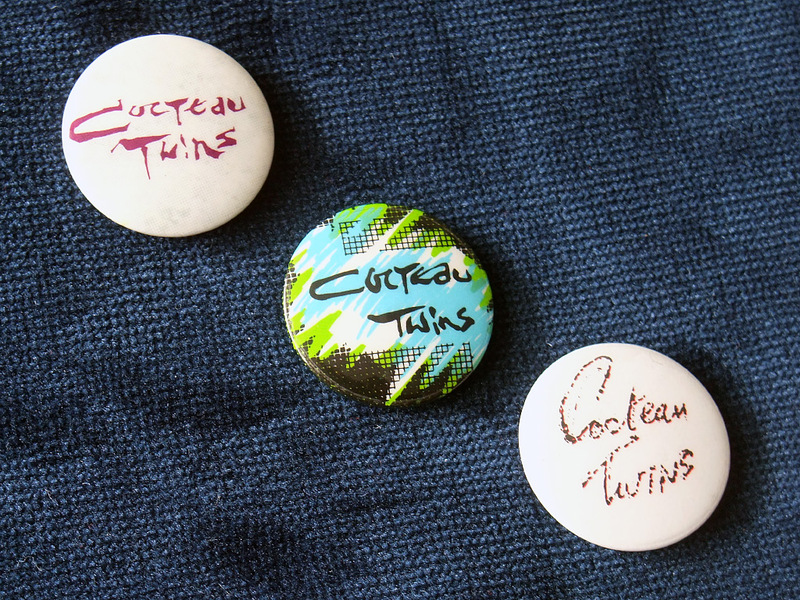 These badges all date from 10 December 1984, which – no coincidence – is when I saw Cocteau Twins play live at Edinburgh Playhouse. These were all on sale at the merchandise stall, along with a T-shirt design I bought but has long ago passed on to T-shirt heaven, through wear and tear. 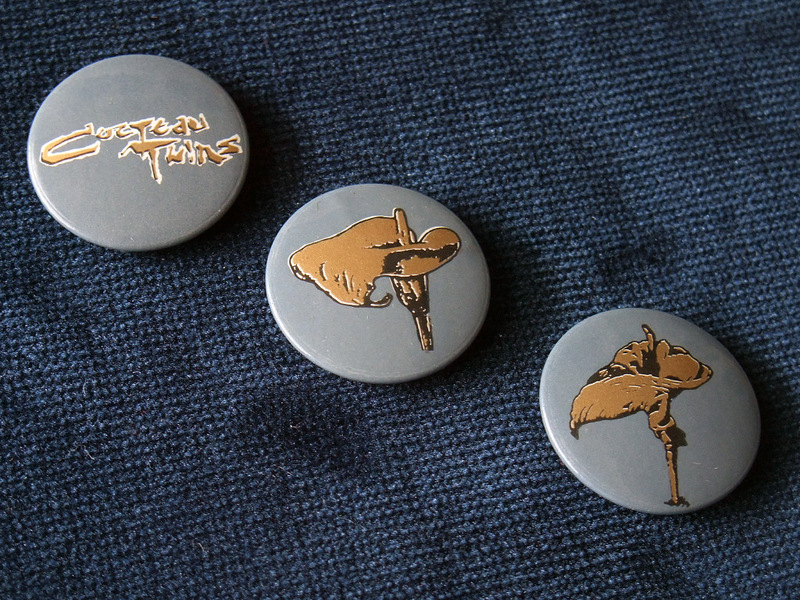 There were two separate sets of 1″ button badges available, along with a more expensive enamel/metal badge, which was particularly beautiful. 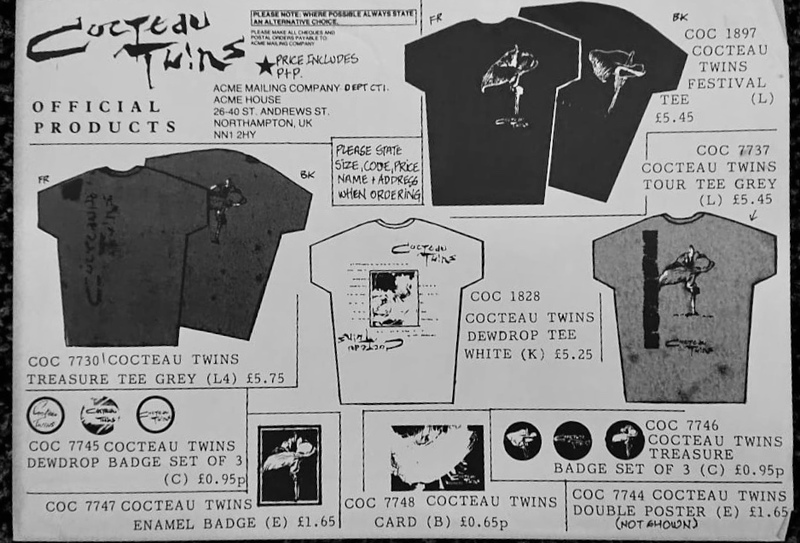 I used to have the accompanying paper merchandise stall flyer that documented all the available merch along with prices, but it seems to have disappeared over the years. If I come across it again I’ll scan it and post it here for reference. Courtesy of my good friend and fellow gig-goer, Lieutenant 030, here we have the merchandising flyer as mentioned above… happy days! 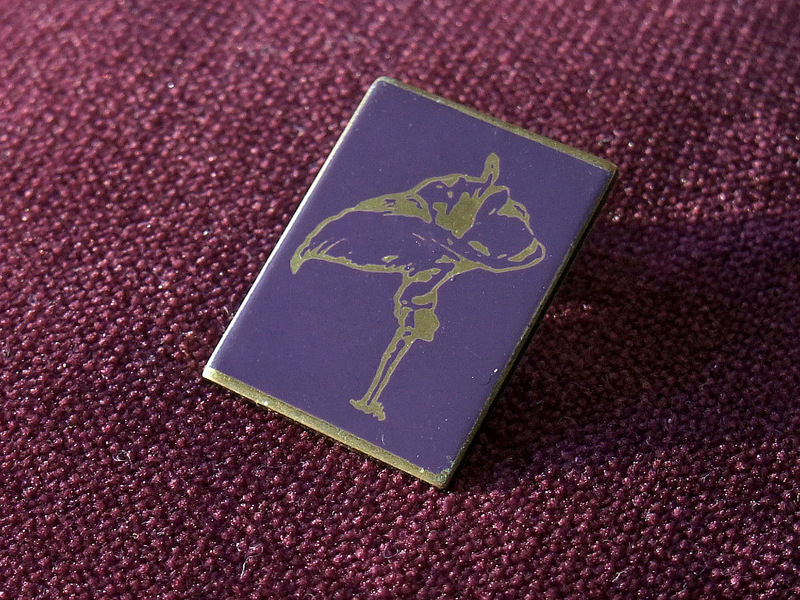 This entry was posted on Thursday, March 28th, 2019 at 5:00 pm	and is filed under Small objects of desire. You can follow any responses to this entry through the RSS 2.0 feed. You can skip to the end and leave a response. Pinging is currently not allowed. 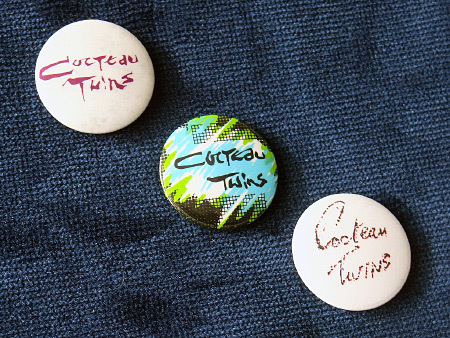 I managed to see Cocteau Twins three times, but only t-shirts ever came with me away from the merch table. I don’t recall see any buttons or badges. That enamel “Lullabies” badge is particularly nice. On the other hand, I did get to have a word with Ms. Frazer after the first show, so there’s that. Three times is pretty good – well done!